In this video tutorial I’m going to show you how to install Elixir on both Windows and MacOS. The reason I’m doing this is because I’ll be uploading a Learn Elixir in One Video in a few days. 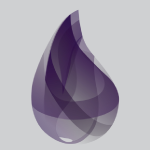 Elixir is a fantastic functional language that utilizes the Erlang VM to create systems that are stable and scalable because it can utilize thousands of processes. Below you’ll find both a video as well as a list of steps to follow to setup everything.